0.5m HDMI Cable - Pro Grade Gold Plated High Speed HDMI with Ethernet for HDMI 1.4, 1.4A, 2.0 and older. HDMI to HDMI male. Connectors: HDMI Male/Male, Type A. Suitable for HDMI 1.4 and HDMI 2.0 equipment, backwards compatible with older HDMI revisions. Metal body plugs for enhanced shielding and durability. 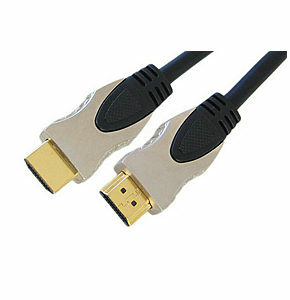 Profigold PGV1115 high quality 15m HDMI to DVI cable, HDMI A male to DVI-D male. 24k Gold-plated contacts prevents corrosion for life-long optimum signal-transfer. 99.96% OFC Conductor for High-Speed digital performance. Triple shielding for maximum RFI protection to ensure ultimate picture stability. HDMI certified connector design for maximum shielding and optimum performance. Internal silver-soldering provides excellent signal transmission. 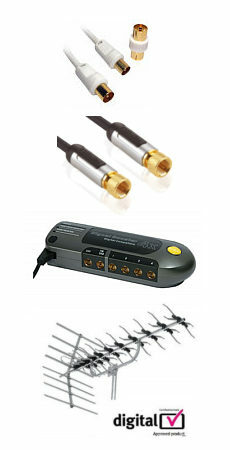 Superior uncompressed digital audio & video signal for digital Sound and Picture quality.